Samuel Eric Bassett was born in Christchurch 22 March 1891, the son of William John & Caroline Bassett nee Gilchrist of Rosewell Timaru. Samuel farmed with his father, and both were valued members of the Timaru A and P Association. William was a committee member and Samuel a sheep steward for the Corriedale, Crossbred and Ryeland breeds. On receiving news of his death, the July 1915 A & P meeting stood in silence in a show of respect and sympathy. Before the war he was a territorial member of the 8th South Canterbury Rifles holding the rank of Corporal. 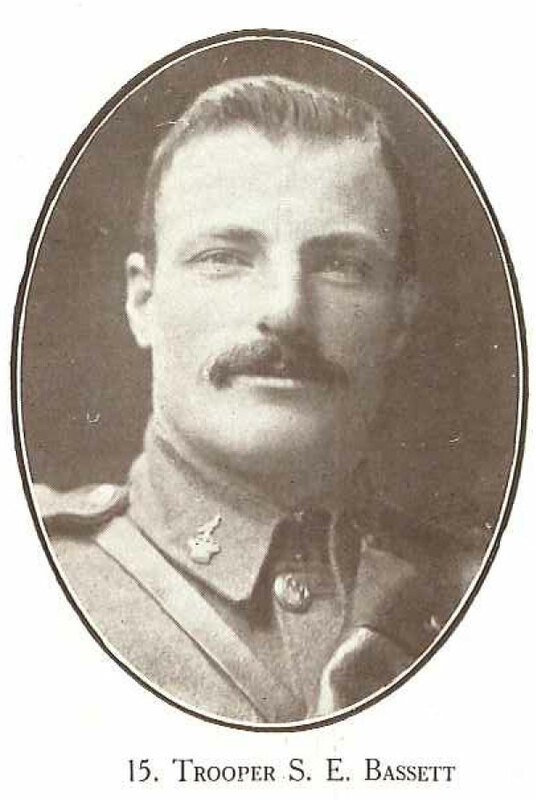 Joining up in Timaru on 15 August 1914 he was described as being age 23 years, single, of dark complexion, chest 35 inches, 154 lbs in weight, 5 foot 8 ¼ inches tall, blue eyes, dark brown hair and having good teeth. On 17 August 1914, His Worship the Mayor (Mr E.R. Guinness) farewelled the mounted men off on the train to camp at Christchurch, Corporal S.E. 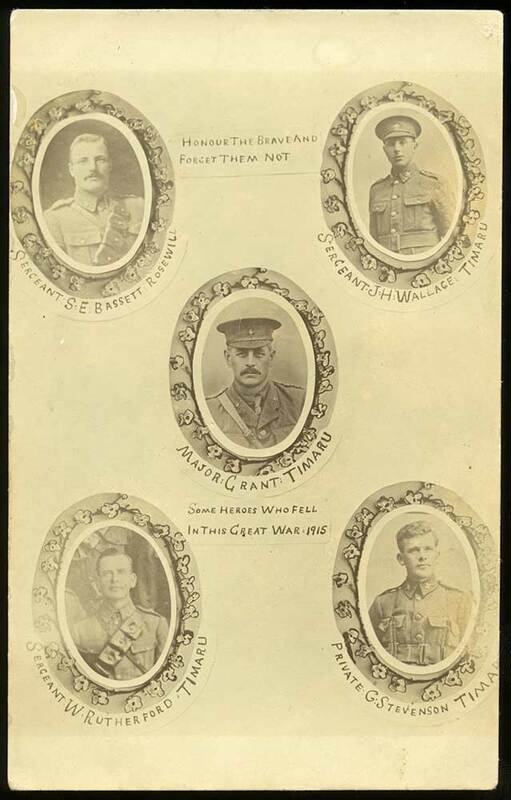 Bassett being among the men who left. Samuel served in NZ from 15 August to 14 October 1914 before embarking for Suez, Egypt on the Athenic from Lyttelton 16 October, arriving 3 December 1914. On 18 June 1915 Samuel was on outpost duty on Walker’s Ridge when he suffered a gunshot wound to the head, which he subsequently died of at 3.20am 23 June, 3 miles at sea off Gaba Tepe, aboard HMHS Gascon. He was buried at sea; the officiating chaplain was Rev Lee Warner. His name is on the Lone Pine Memorial at Lone Pine Cemetery reference 71. Samuel’s Plaque, Scroll and medals were sent to his father after the war. His name is included on the family headstone in the Timaru Cemetery.